Personally, I’ve suffered with depression since the ripe old age of 12. Back then, it got really, really bad. 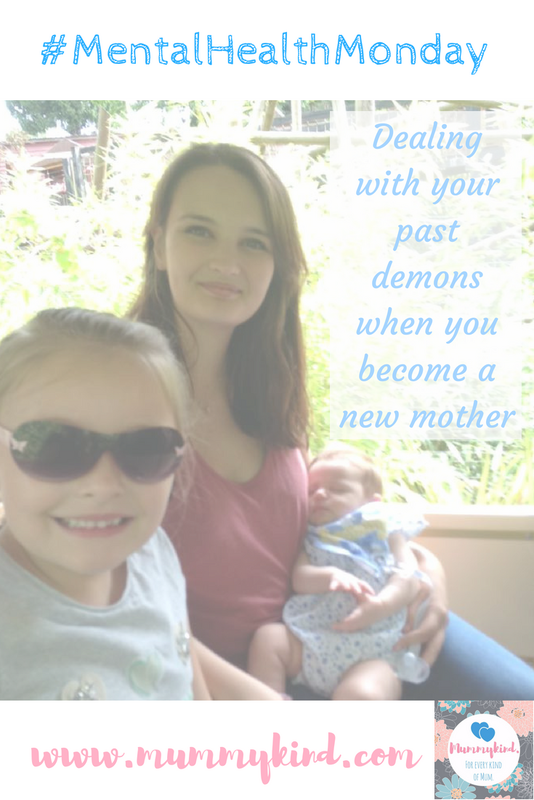 I tried to end my life twice, and ended up in a mental hospital… so, of course, when I began noticing the same signs in myself of depression during my pregnancy, you can imagine the fears and anxieties that went with it. I’ve previously talked about how to recognise antenatal depression, and I truly think that, had I not been depressed throughout my adolescent years, I wouldn’t have recognised it in myself while I was pregnant. There can be so many things that trigger depression or any other mental illness, but for me it was a multitude of past demons that were resurfacing. They were resurfacing because, very soon, I was going to be a mother myself, and that was the most terrifying thought of all. Not because I didn’t want to be a mum – I’d always wanted children. I grew up with 4 younger siblings (2 of whom I raised in part) and from the age of about 9 I had known what my children’s names would be, because, OBVIOUSLY, I was going to have twin girls (Lily and Olivia – I got one at least) and a boy (Henry). I had it all planned out. But nothing goes to plan. Instead, by surprise, I was pregnant in my final year of university, and had to deal with that pregnancy completely alone except for a couple of very amazing and supportive housemates. By the time that my pregnancy was nearing the 7 month mark, I had essay deadlines looming and was about to move back to Kent to prepare to have my baby, and become a mum. It was what I’d wanted so why did I feel so incredibly anxious about it? It may sound cliche… but I was so petrified of turning into my mum. Of being the type of person that could cut her children out of her life as and when she pleased, or the type of person that would prioritise her vanity and her boyfriends over her children’s wellbeing. I came out of those 15 and a half years living with her so emotionally damaged, and I was terrified that my own daughter would feel the same way. I didn’t want to lose my baby before I even had her, and I felt like it was an unchangeable fate that she would end up hating me. Those feelings of inadequacy before I had even given birth to my daughter were so difficult to overcome, but I did overcome them. It took counselling, peer support, regular GP visits, medication, and a round of CBT for me to get to the point that I am at now. I’ve felt the ups, downs and in betweens, and I still feel them, but the downs are becoming fewer and farther between. No matter what demons there are in your past, they won’t stop you from being a good mother. It took me a long time to come to that realisation, and I have tried so hard with everything that I am to be the complete opposite of the woman that my mother is. I have tried so hard to give Olivia everything she deserves and more – everything I deserved as a child but never thought I was worthy of. All I can hope for is that it will be enough, and as long as I’ve put my all into being the best mum I can be, then I’m sure that it will be more than enough. The demons are awful. Good for you for recognizing them. From another Mom with Mental Health issues. Previous Post Moving in with the in-laws. Next Post Review: Enchanted Garden PlayBag by the PlayBag Company!